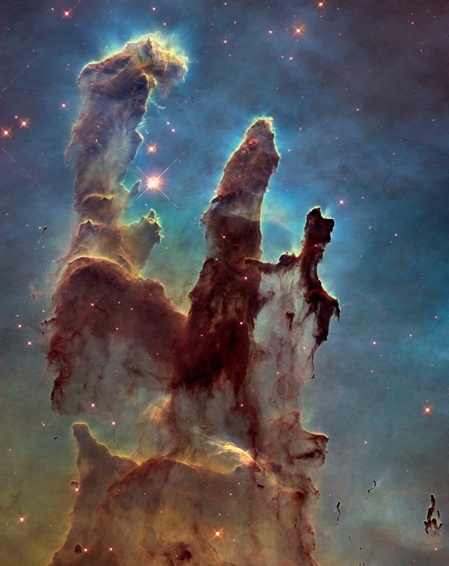 Today’s Hubble picture is a recent one of the Pillars of Creation. Stars are being born deep inside the pillars, a small part of the Eagle Nebula, a vast star-forming region 6,500 light-years from Earth. Back to Earth, light for the Dark Way. Life to feed the seed to feed life. Shedding no tears, full force rising! This Full Moon at 09 degrees Capricorn, opposite the Sun at 09 degrees Cancer, invites us to look at what we expressed as our desires at the last New Moon (June 16) and release any remaining blocks to manifesting those desires. The Full Moon happened at 10:22 pm Eastern Daylight Time on Wednesday, July 1, and ushered in the time to determine what to let go of as we get down to work for the next two weeks. How are you taking care of yourself? (Cancer) What are your tasks, your REAL work, your objectives? (Capricorn) Do your assessment as you also pay attention to the fact that everyone around you will be experiencing the effects of this Full Moon, knowing about it or ignorant of it. Drive defensively! The Sun is dancing with several other planets in the period between this Full Moon and the next New Moon on July 15, making early July a good time to look for the areas where big change is needed in your life. Are you ready? If you are wondering how this Summer is asking you to change, then schedule a reading where we can explore your next step. Send me an email at rosemary@TheScientificMystic.com for details. Isn’t it time that you got everything out of the way of your Living Your Richest Life? And look up at the sky! The Moon, Venus and Jupiter have been playing nicely together. It is a wonder of lights to behold! This Full Moon finds us getting ready for the official arrival of Summer. Here in the Northern Hemisphere things are heating up. The days are longer and longer. It’s an exciting time of graduations, school endings, weddings and Summer celebrations. People want to be out in the sunshine. And with this Full Moon (Tuesday, June 2 at 12:18 pm Eastern Daylight Time) the Moon is reflecting the most sunlight that it reflects in its cycle. The Moon is in the sign of Sagittarius, where straight-shooting truth is the order of the day. The Sun is in the sign of Gemini which is all about communication and the sharing of information. Where can you shine the light on some truth that may have been hiding in the shadows? 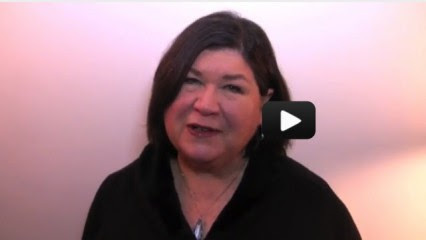 Are you ready to reveal something about yourself and how you feel? This Full Moon invites you to release what is no longer serving your highest good. Release, too, the ‘stuff’ that has been clogging up flow in your life – clutter, things, houses, jobs, people. Move aside what is holding you back and leap forward. We are starting the program soon so reserve your space now! Brings on crazy or sad. As she rises to East. As he sinks to the West. No need to hold it, let go of pride. Just open, exhale, flow with the ride. And with each breath, deepen, release. Empty to wonder, sense the ease. Float on the wave to Full Moon’s Peace. 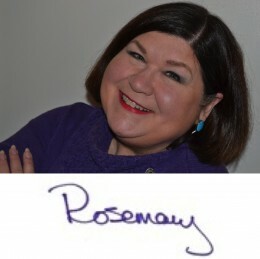 ROSEMARY’S EXPLORATION: Honor and Love Yourself! This moonth is about loving yourself enough to have love and service energy to spare to give to others. Lisa Nichols teaches about ‘serving from the saucer.’ She says that a teacup represents you and the saucer catches the overflow when you are filled up. Don’t serve others from the teacup, which you must keep filled if you want to be of use to others. Instead, serve from the overflow in the saucer. When the saucer is empty, you must fill up the cup (you) until it overflows again. If you empty the cup, there is nothing to give to others. This makes sense, doesn’t it? I frequently hear clients struggling with trying to find balance between taking care of others – children, parents, spouse – and taking care of self. Sometimes they have to get sick to get a day off! I hope you hear Lisa Nichols’ idea as permission to fill up your cup before you have to get sick. Love is a powerful energy. It is meant to be shared, to radiate outward. But, remember, that ‘All love flows from self-love.’ Until you really embrace that belief, you will give until you are depleted and then you cannot help either yourself or others. That spiel on the airplane about ‘put your own oxygen mask on first before you help someone else with theirs’ has real meaning. If you pass out from lack of oxygen there are 2 of you in trouble! Maybe it’s time to explore what is holding you back from having great joy in your life. Dissolve the blocks that keep you from manifesting magnificence. Let them go as the moon gets smaller in the sky. Clear the way for the new energy that is wanting to come in at the next New Moon on Friday, March 20 at 5:36 am Eastern Daylight Time. This will be a special day – with a Total Solar Eclipse and the Sun moving into Aries – Spring Equinox! Today is a Full Moon Day. Did you notice? A bunch of snow fell on the Mid-Atlantic region. We got about 6 inches here in Maryland. This may not sound like much if you live in Buffalo or Finland. But it is enough to bring our community and the region to its knees. Most offices were closed today, including Federal offices in Washington! Growing up in Wisconsin I do remember a snow day or two during my entire school experience. Even the University of Wisconsin, Madison shut down one day while I was there. Maybe we were tougher then! Today I’ve been lazy! I have literally felt this Full Moon through my entire body. I’d like to think I’m becoming more sensitive to the heavy energies surrounding Full Moons. Maybe I’m just getting older! Whatever the case it is good to pay attention to moon cycles as both Rosemary and I have been blogging about lately. Not sure what those “compensations” are! Maybe it’s permission to take an afternoon nap. Happy Full Moon! The Full Moon happens on Thursday, March 5 at 1:05 pm Eastern Standard Time. At this time, the Moon is in Virgo and the Sun is in Pisces, opposite to the Moon. The Full Moon is the time in the Moon’s cycle where the Moon reflects the most light to the Earth from the Sun. Bathe yourself in this Full Moon energy, too, by visualizing yourself drenched in Moonlight, if you can’t actually sit outside on the night of the Full Moon. This is a time to let go, to release. From the day of the Full Moon until the New Moon the Moon is getting smaller in the sky, or waning. As the Moon appears to diminish, because it is reflecting less of the Sun’s light, we are invited to let go of old energy, thoughts, beliefs about ourselves and the way the Universe actually works. Take out your beliefs and examine them under the light of this Full Moon. Do they serve the person you are becoming? Are they leftover from an earlier time that doesn’t fit with today? What have you been thinking about doing that is blocked in some way by hidden or unconscious blocks? You might need some help to uncover these but now is a great time to let go of those blocks, release anything that is holding you back from expressing your excellence. Do a ritual and meditation around letting go. Now is the time to do it! As you become more familiar with the cycles of the Moon, learn to notice what is happening in your life, your health, your relationships at different times during the ‘moonth.’ Does your appetite change? Do you feel more or less energy? Are you calmer, more frenzied, touchier? The ancients knew how important the energy of the Moon is because they lived according to Nature’s cycles. They knew when to plant (New Moon) and when to harvest (Full Moon) but with the advent of the Industrial Revolution and electric lights we started to move away from the natural cycles and created artificial ones. In our busy 21st Century lives we often forget to even look up at the sky. How often do you notice the Moon? For the two weeks following a New Moon, pay attention to how you feel and track the Moon’s calendar. In the Possibilities Playshop we create Playbooks based on the cycles of the Moon so that we get used to journaling according to the Moon’s phases. It becomes easy to track patterns when they are tied to the cycles. Focus on the New. Get ready to let go of the Old. Become a Moon Child! In the coming ‘moonths’ we’ll explore a wide range of topics. Some times the MoonLetter will contain a channeled message of guidance from other realms. Other times I will write an article with practical guidance and tools for conscious living. And there will be information about using the energies of the Moon Cycles to help you live that conscious life with elegance and grace. Happy New Year! Thank you for being a part of RosemarySpace! PS: We are approaching a Full Moon, tomorrow, Thursday, March 5 at 1:05 pm Eastern time. How are you feeling? We’ll be publishing the next MoonLetter shortly to fill you in on all the details of this moon.